NEW YORK - Investors got some bad news about the American shopper on Friday, driving down stocks and sending the Dow Jones industrial average to a loss for the week. Two major U.S. companies -- the retail giant Amazon (AMZN) and the credit card processor Visa (V) -- both said the second half of the year was looking more troubled than originally expected. The cautious outlook from two companies so heavily dependent on consumer spending spooked investors, causing the stock market to fall at the open and remain lower throughout the day. "Visa put a lot of caution into the market this morning," said Quincy Krosby, a market strategist at PrudentialFinancial. 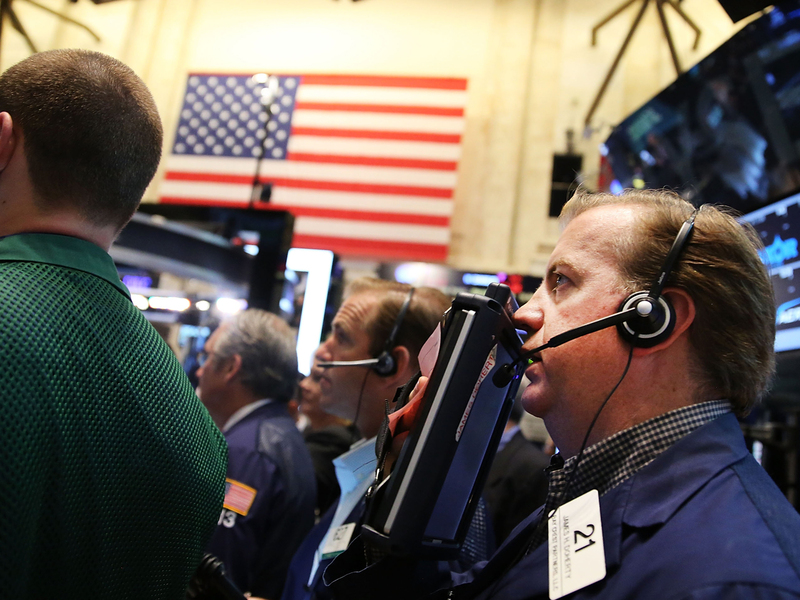 The Dow Jones industrial average dropped 123.23 points, or 0.7 percent, to close at 16,960.57. It's the first time the Dow has closed below the psychologically notable 17,000-point mark since July 9. The Standard & Poor's 500 fell 9.64 points, or 0.5 percent, to end at 1,978.34, and the Nasdaq composite fell 22.54 points, or 0.5 percent, finishing at 4,449.56. With Friday's selling, the Dow fell 0.8 percent this week. The S&P 500 closed basically unchanged, and the Nasdaq rose 0.4 percent for the week. Because the Dow is a price-weighted index, and Visa is the most expensive stock in the Dow, Visa had an outsized impact - accounting for roughly 60 points of the Dow's decline. Investors have closely watched Visa ever since the company went public in 2008. Credit cards that use Visa's payment system are in nearly person's pocket, and each time a consumer buys a product with a Visa card, the company takes a small percentage. "Visa represents the consumer, and the consumer is one of the most important pieces for the future of this economic recovery," she said. Amazon's stock slumped 9.6 percent after the online retail giant late Thursday posted a much wider loss than analysts had forecast, hit by expenses. The Seattle-based company is focused on spending the money it makes to expand into new areas and products, including a smartphone, the Fire, which starts selling Friday. Despite the disappointing news from those consumer-focused companies, corporate earnings from the latest quarter have been solid. Of the 230 companies that have reported so far, 76 percent have beaten profit expectations, and 67 percent have beaten sales expectations, according to FactSet. So far the S&P 500 is averaging a 6.7 percent earnings growth this quarter compared to a year ago. Investors had expected earnings to be up 4.9 percent when the results started to roll in at the beginning of July. -- Starbucks (SBUX) fell $1.71, or 2 percent, to $78.74despite the company reporting a profit that came in above analysts' expectations. Starbucks also raised its full-year profit forecast. -- El Pollo Loco (LOCO) surged $9.03, or 60 percent, to $24.03 on its first day of trading in the public market. The grilled chicken restaurant chain priced its shares at $15 per share late Thursday.